Following the loss of its Falcon 9 rocket during a static fire test, SpaceX is deep into a failure investigation process, which includes an assessment of the damage suffered by SLC-40 at the Cape Canaveral. 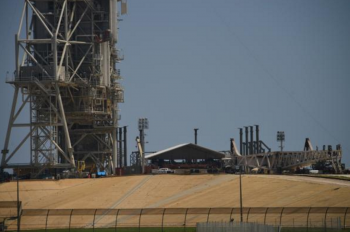 With that pad likely to be out of action for some time, SpaceX is turning its attention next door, to the historic launch Pad 39A at the Kennedy Space Center as the site from which east coast Falcon 9 missions are expected to resume. While SpaceX continues the initial portions of their investigation into the static fire anomaly which resulted in the complete destruction of a Falcon 9 rocket and the AMOS-6 payload last week, very little information has been released publicly at this point – as is expected in the early nature of such an investigation. Right now, it is understood that the investigation is focusing on an area “near the second stage” where the first hints of the rapid deflagration event first appeared. It is unknown at this time whether the issue which led to the loss of the Falcon 9 originated inside the second stage or via an external source near the second stage. The most recent release of information has come via the Twitter account of Elon Musk, citing the “most difficult and complex failure” SpaceX has suffered in its 14 years. So far, no obvious issue has been found in the channels of data provided by the rocket. 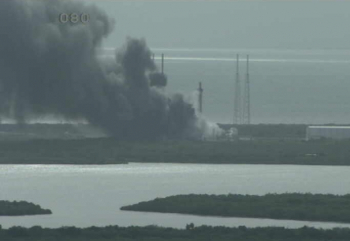 Regardless, what is known is that SLC-40 suffered damage – the extent of which is not yet known. What is obvious, however, is that a major cleanup and repair effort at the pad will be necessary – not the least of which to the Transport Erector (TE) which suffered significant damage during the Falcon 9 breakup. In the recent history of pad damage due to a rocket breakup event, the 2014 near-ground termination of the Antares Orb-3 mission to the International Space Station from Wallops Space Flight Center in Virginia caused significant – though not catastrophic – damage to its pad. Damage to the Antares pad took nearly one year to repair – though the repair effort far outpaced efforts to return Antares itself to flight operations, something which is expected later this year. On the positive side for SpaceX, regardless of how long it takes to repair SLC-40, the company is not without the means to continue launching Falcon 9 from Florida and from California. While the results of the investigation will ultimately determine when Falcon 9 can return to flight, one thing that is not expected to be a driving factor is the launch pad itself. 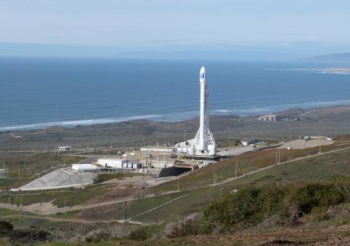 SpaceX’s west coast pad at Vandenberg Air Force Base was in the final phases of an operational upgrade at the time of last Friday’s accident and was preparing to host the Iridium Next 1-10 launch on 19 September 2016 – which now could be the conceivable return to flight mission for Falcon 9 – albeit at a later date. Back east, the damage and needed repairs to SLC-40 will not be a major factor in getting Falcon 9 flying again from Florida primarily due to the extensive work already completed to convert the historic pad 39A at the Kennedy Space Center into a Falcon 9 and Falcon Heavy launch facility. Importantly, while debris from the Falcon 9 was scattered over a wide area of the Cape, SpaceX was quick to note that their “other launch sites were not affected” by the accident. A large amount of the pad work to allow for uncrewed launches has been completed, with the main focus on the launch mount area of the pad itself. While 39A was always understood to be the east-coast home of the Falcon Heavy and crewed Falcon 9 missions, SpaceX also confirmed what Gwynne Shotwell hinted at in March 2016 – that 39A was capable of hosting non-crewed payload missions of Falcon 9, thus providing the company with a crucial redundancy in its east-coast pad operations. Ms. Shotwell’s statement was in relation to the busy Falcon 9 manifest for 2016 and gave the first hint that a regular Falcon 9 might be the first to use Pad A. Nonetheless, the high degree of confidence SpaceX has for LC-39A’s operational status by November does not discount the large amount of tasks that need to be accomplished to achieve that goal. Currently, it is understood that all plumbing and electrical modifications at the pad itself are complete, while there are still several outstanding items for the TE as well as full prop loading, detanking, and interface systems verifications and checks that need to be performed with an actual Falcon on the pad. Regardless, November is not an unmeetable deadline for 39A’s activation for the next chapter in its storied history. 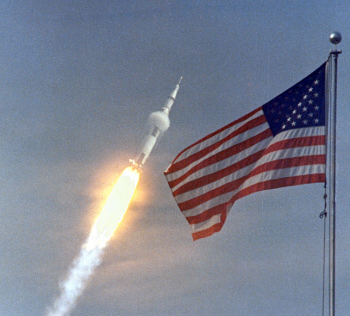 When President Kennedy announced in May 1961 the goal of “landing a man on the moon and returning him safely to Earth before this decade is out,” it quickly became evident that the existing Air Force pads at the Cape Canaveral Air Force Station would not be sufficient for the mighty Saturn V rocket needed to propel people and payload to the Moon. In 1962, NASA acquired 131 square miles of land via purchase and entered into agreement with Florida for an additional 87 square miles – upon which the Launch Operations Center, subsequently renamed the Kennedy Space Center following President Kennedy’s assassination, was constructed. 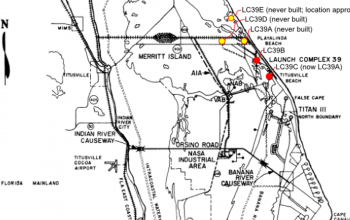 Originally, the plan for KSC called for three launch pads to accommodate the Saturn V.
The launch complex itself was officially named Launch Complex 39, and the three pads were scheduled to receive alphanumeric designations of “A” to “C” – with 39A being the northernmost pad and 39C being the southernmost. As funding became more concrete, and less available than predicted, plans for the original pad 39A were scrapped and NASA decided to restructure with a two pad system and reorganize the pad numbering system. Pad 39A completed its initial construction in 1965 while final outfitting continued well into 1967. On 26 August 1967, Pad A received its first rocket – the Saturn V for the Apollo 4 mission. Apollo 4 spent September and October at the pad, going through multiple system checks and launch countdown practices – both wet and dry – to work out all the major kinks between the pad, the rocket, and the launch control center. 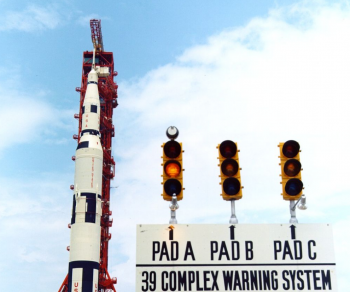 Thus, Apollo 4 would not only be the first time pad 39A would be used to launch a rocket, but would also mark the first flight of the Saturn V itself. Apollo 4 lifted off at 07:00:01 EST on 9 November 1967, marking the first of what to date has been 92 launches from Pad A – 12 for Apollo and 80 for Shuttle. The pad’s most historic use, however, came on 16 July 1969 when it was used to launch the Apollo 11 mission and the first human lunar landing. Over the life of Apollo, Pad A hosted all of the crewed Apollo missions as well as the launch of the first US space station, Skylab on 14 May 1973. With this distinction, Pad 39A became the main launch pad from which human missions to other celestial bodies have launched. All but one, Apollo 10 (39B), launched from 39A. Following its use for the Skylab launch in 1973 (the last un-crewed launch to occur from the pad), 39A was deactivated, and formal preparations to transform it from the clean pad environment of the Saturn and Apollo era into the standing structure pad model for the Space Shuttle began. In 1979, after the Fixed and Rotating Service Structures, white room swing arm, hydrogen vent line, and all associated plumbing, equipment, and wiring were in place, 39A hosted its first Space Shuttle. The Shuttle Enterprise arrived at the pad (making Pad A the only pad to host all six Space Shuttle Orbiters) for fit checks, fueling operation verifications, and various other system validation and verification efforts that could only be achieved with a Shuttle at the pad. In what became an iconic part of the Shuttle pad, the fueling operations with Enterprise revealed to engineers something they weren’t expecting – the need for an additional swing arm to fit over the top of the External Tank to whisk away gaseous oxygen vapors escaping the vent valves at the top of the tank. The issue discovered with Enterprise was that the venting gaseous oxygen vapors precipitated the formation of dangerous ice at the top of the tank that would pose a danger to the Shuttle Orbiter’s delicate Thermal Protection System during launch. 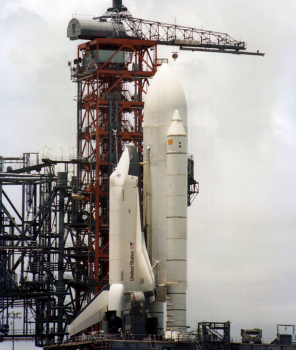 Thanks to Enterprise, 39A was modified with the gaseous oxygen vent arm, which was completed in time for the arrival of the Shuttle Columbia to the launch pad in December 1980. The Space Shuttle era began from pad 39A on 12 April 1981, with the pad hosting the first 24 missions of the Shuttle program as well as the inaugural flights of Columbia, Challenger, Discovery, and Atlantis. The only Shuttle that did not make its inaugural launch from 39A was Endeavour. 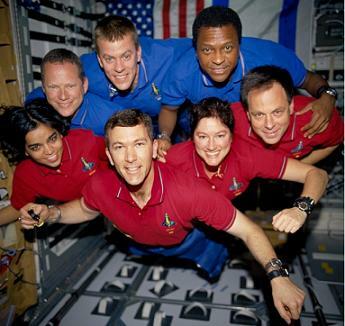 Sadly, Pad A’s storied history also includes tragedy, as the pad hosted the STS-107 launch of the Columbia and her seven member crew on 16 January 2003. Coincidentally, Pad A was never used for any of the three return to flight missions of the Shuttle program – all of which were flown by Discovery from pad 39B. In addition to Columbia, Pad A hosted the final flights of Discovery [the most-flown spacecraft in history], Endeavour, and Atlantis [the most international launch/entry space vehicle in history]. The only Shuttle that did not make its final launch from 39A was Challenger. 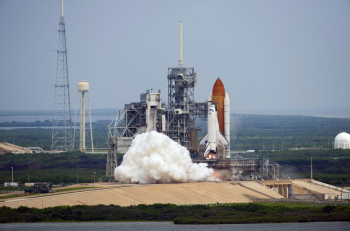 Moreover, like it did at the beginning of the program, Pad A hosted the final 18 Shuttle missions in exclusivity – from STS-117 to the final emotional flight of Atlantis on 8 July 2011 on the STS-135 mission. Additionally, Pad A hosted the very first construction flight of the International Space Station – Endeavour’s STS-88 mission in December 1998 – as well as the mission which completed US assembly of the Station – Endeavour’s STS-134 mission in May 2011. Pad A also supported the launch of critical ISS modules, including the US Destiny lab, the European and Japanese lab modules and complexes as well as one module for the Russian segment of the ISS. Following completion of the Shuttle Program, Pad A was left in the same configuration it was in when Atlantis launched for the final time. 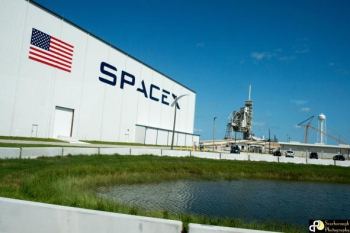 NASA then pursued commercial use agreements for the pad, eventually announcing on 14 April 2014 that SpaceX had been granted a 20-year exclusive lease of Pad-A for their Falcon 9 and Falcon Heavy rockets. Now in SpaceX’s hands, Pad A is set to host the historic first launch of humans aboard commercial rockets in 2017/2018 as well as the first human-rated spacecraft to Mars in 2018.